If your hot water tank is due for a replacement, then you should look at Whirlpool water heater options for your home. This well-known brand offers gas, electric, and propane models with standard or Energy Smart designs. Here’s what you need to know about your options. What Are Whirlpool Water Heaters and How Do They Work? Hot water is an essential component of modern life. Your water heater is responsible for piping it through your home when you need it, and whether you’re due for a replacement or shopping for a tank for new construction, you’ll want to pick an option that meets your needs. Finding the right tank size and capacity are important, and options like one of the many high-tech and reliable Whirlpool water heater models could be the perfect fit. In this article, we’ll dive into the details about the various models the brand offers, how they work, and point out key features that could benefit you. We’ll compare them to other manufacturers, and give you tips on how to buy and install Whirlpool options. 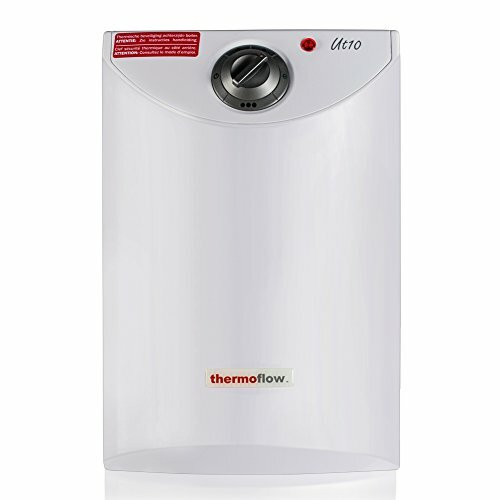 Water heaters are an essential feature in the home that provides hot water for bathing, cleaning, laundry, and more. Whirlpool models are manufactured by American Water Heaters, and then branded with their trademarked logo. You can also select an option that meets the needs of your household based on the tanks size, capacity, warranty, energy factor, or special features. Most Whirlpool water heater models fall into one of two categories: Energy Smart or Hybrid. Next, we’ll detail the main differences between these two classifications to help you choose which one is best for your home. Energy smart water heaters use Whirlpool’s patented 6th Sense Technology to control the temperature and thermostat accurately. This can produce some energy efficiency and cost savings, but these models are not Energy Star compliant. That said, they are affordable, entry-level models that have loads of helpful features and benefits. The intuitive user interface makes it easy to adjust the water temperature to between 80 and 150F using the touch-screen up and down errors. There is also an LCD screen that displays helpful information like alerts or error messages if the system isn’t operating correctly. In the normal or standard mode, the user sets the desired temperature, and the tank will keep the water heated at all times. The energy smart option reduces costs because it learns your usage pattern and automatically adjusts the temperature in the tank based on when and how much water you consume. Finally, vacation mode is an option that will conserve energy but also ensure that your unit doesn’t freeze up during cold winter months. It will automatically adjust the settings to around 60 degrees which will keep the tank functioning but not use any excess energy. All of the tanks in this category come with a variety of safety features that protect both you and your property. Dry fire protection ensures that the unit won’t fire up if it’s not full of water, and programs like self-cleaning will eliminate any sediment built-up that could compromise the functionality of the system. Energy smart models come with a generous warranty that’s usually between nine and 12 years depending on the option you select. Whirlpool models that combine their electric heating element with a high-quality heat pump use significantly less energy and are most cost-effective. They are the only options that are Energy Star compliant, but they cost more than their standard counterparts. However, the cost savings of using an Energy Star model may make it worth the investment. The government offers tax breaks and rebates, and you may also glean some savings direct from the manufacturer. According to the average energy factor for usage, the payback is in three years or less for most single-family homes. It has many of the same features as the traditional tanks, including a temperate range of between 95 and 150 degrees, an LCD screen, and user-friendly controls. Electric mode means that the heater is relying solely on the electric heating element, which produces the lowest efficiency rating. In hybrid mode, the heat pump is the main source and the electric element functions as the back up to ensure that there is always hot water in your tank when you need it. This is the default setting on all Whirlpool hybrid models. As the name suggests, efficient mode provides you with the largest cost savings and relies solely on the heat pump to keep the water warm. This is an excellent choice as long as you’re operating at an ambient temperature of between 45 and 109 degrees Fahrenheit. Finally, vacation mode allows the unit to perform its normal cleaning functions and stay at a temperature high enough that it won’t freeze but uses the least amount of energy. Every Whirlpool water heater is manufactured by American Water Heater, who also produces the same models for brands like A. O. Smith, U.S. Craftsmaster, and Lochinvar. Because of this, there aren’t any truly unique features among the tanks and heating systems. That said, there are several notable, user-friendly features that offer benefits like cost savings on your energy bill. Here are a few highlights. Every Whirlpool model, whether it’s from their energy smart line or an Energy Star certified tank, offers several operating modes to help you configure the system to the needs of your family. You will always have an option to select a mode that conserves energy, which can reduce your monthly gas or electric bill, and also help to manage heat loss without costing you money. The vacation mode is also helpful, particularly if you own a seasonal home. This allows you to dial down the temperature of the tank, but to still keep it functional and operating properly. You’ll never have to worry about it freezing up in winter, but will nearly eliminate the costs of running it when you’re not on-site. Smart home technology is the wave of the future, and many of the Whirlpool models can be configured to have Wi-Fi connectivity. 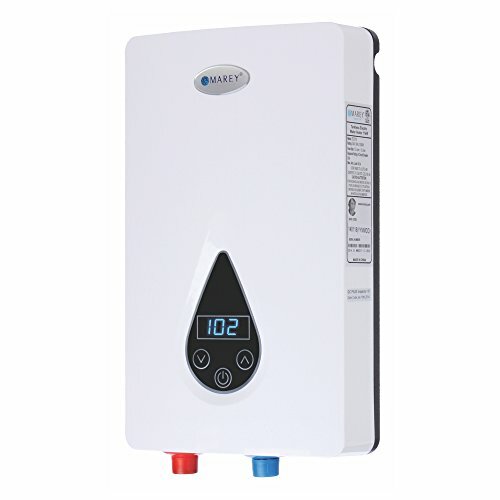 You usually have to purchase an add-on kit, but once installed it will link to the Energy Smart Iris module that has an easy-to-use app and website where you can control your water heater from anywhere there is an internet connection. While this might not be a feature you use daily, if you own rental properties or vacation homes, it’s invaluable. You can switch from the vacation setting into energy-saving or standard mode remotely to ensure you or your guests have hot water when you arrive at the property. Anyone who manages rentals know that little details like that can make the difference in the success of the venture and the satisfaction of your customers. One area where Whirlpool notably stands out is with their warranty programs. All of their tanks and the corresponding parts are covered for a minimum of nine years, and many of the models have the option to purchase an additional three-year plan that will protect you for a total of 12. This is a bit better than the industry standard. In addition, if you pay to have the tank installed by a certified professional (which we recommend), Whirlpool will give you a two-year warranty on the labor. The industry standard is only one year for most other brands, which makes this an excellent deal. Despite the generous warranty, sometimes water heaters from Whirlpool have problems. We’ve outlined some of the more recent issues that users report below. Although it’s never ideal to have an important system like your hot water tank malfunction, it is very easy to find the parts needed for a quick repair online and in store. Thanks to the fact that American Water Heater makes a plethora of tanks, many of the parts are interchangeable between brands because the model is exactly the same. The price of a new Whirlpool system can vary significantly depending on some factors. Things like whether it will be used at a residential or commercial location, the size of the tank required, and the fuel source can change the cost by hundreds if not thousands of dollars. The best way to get an accurate quote is to contact a reputable local plumber who has all of their certifications. You’ll want to have your water heater professionally installed by someone who has up-to-date knowledge of building codes, and any state or local requirements to ensure that it will not only work properly but operate safely too. Overall, Whirlpool is a well-known brand with a positive reputation. They’re known for producing cost-saving appliances and providing excellent warranties and customer service to those who buy and use their products. However, their water heaters have had issues throughout the years which resulted in a class action lawsuit back in 2000. Over 1,000 customers reported their hot water heater stopped working, and the manufacturer traced the source to a thermocouple that was installed as part of new safety regulations. When the units began failing, Whirlpool was not equipped for the inundation of calls and requests, and their customer service suffered. As a result, there were hundreds of unhappy people who still say extremely negative things about the product. Like A.O. Smith who makes the models that Whirlpool then puts their brand name on, Rheem and Bradford White do the same. These three make up the majority of the share nationally, but other small brands like Kenmore and Bosch also make quality products. Here are some details how they compare to Whirlpool overall. Whirlpool is considered an entry-level brand, where Rheem produces mid-level models. They won’t break the bank and have a reputation for being both extremely reliable and durable hot water heaters. Like Whirlpool, they specialize in residential models and make gas, electric, hybrid, solar, and tankless styles. Many are Energy Star certified, and all of their products have an energy saving mode. They also have Wi-Fi capabilities, and the manufacturer offers up to a 12-year warranty on some models. On the other end of the spectrum, Kenmore water heaters are one of the most budget-friendly options, and you can purchase them directly from retailers like Sears department stores. Although the brand offers many similar features to that of Whirlpool, including gas, electric and hybrid models that come with a 12-year warranty, they don’t have as many options as their competitor. 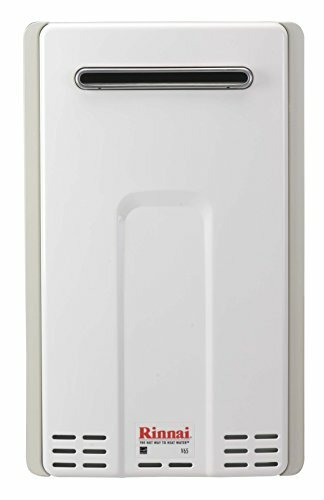 For example, if you want a tankless model, you’ll need to look elsewhere. They also don’t produce any options that have an Energy Star certification, although many of their tanks have energy saving features and modes installed. Water heaters made by Whirlpool are over a good choice for both residential and commercial use. They make a plethora of options, which makes it easy to find a model that works with your fuel source, as well as the space and configuration requirements you have. Although they had some issues back in the late 90’s and early 2000’s with quality, they have since been addressed. Overall, customers who purchase their products are both happy and satisfied with their choice. It’s worth mentioning once more that all Whirlpool systems are made by American Water Heater, which means it’s important to shop around when you’re looking for a new tank. You might be able to find an excellent deal on this brand, but you could also save some money by purchasing an identical model with a different brand name. Be sure to check to see that the warranty on parts and installation is comparable before making your final decision.